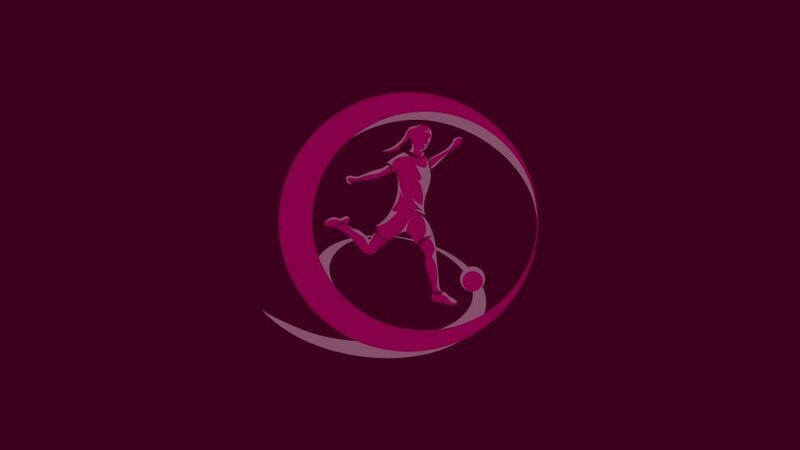 Holders France are among 13 teams who secured UEFA European Women's Under-19 Championship second qualifying round berths with a game to spare on Monday. The top two teams from the 11 first qualifying round groups, plus the third-placed team with the best record against the leading pair in their pool, will join first seeds Germany in the second stage in spring, aiming eventually for seven finals places alongside hosts Italy. France will definitely be among those in the 16 November draw after clinching qualification from Group 6 with an 11-0 defeat of Georgia, Charlène Farrugia scoring five goals, though they are still trailing Thursday opponents Wales on goal difference after the leaders beat Slovenia 4-2. In Group 1 the team that lost their title to France in last season's final, England, defeated Armenia 9-0 to go through with Finland, 4-0 victors against Moldova. Two past winners are in Group 3 and both have prevailed already, Spain beating Greece 6-0 and Denmark seeing off Bosnia and Herzegovina 2-0, while the qualifying slots are also decided in Group 5 in favour of Poland and Switzerland, and Group 10, where Iceland and Ukraine have ensured progress. Sweden, champions in 1999 and runners-up a decade later, have secured qualification from Group 8 by beating Slovakia 4-0 but the other Matchday 1 winners on Saturday, Scotland, were held 3-3 by Serbia and need a point against the leaders on Thursday to be sure of joining them in the next stage. In Group 4, Portugal bounced back from an opening defeat by Austria to win 3-0 against Hungary, who had beaten Latvia. That side lost 10-0 to Austria but no side are mathematically through – or out. It is a similar story in Group 11 where Russia won their second game, 7-0 against Cyprus, but their Matchday 1 victims Croatia overcame the Republic of Ireland 1-0 to move into second on head-to-head record. The Czech Republic lead Group 9 in Prague after a 1-1 draw with Turkey; Northern Ireland beat the hosts' next opponents Romania 2-1 and both are a point behind. Finally in Group 2, which has only three teams and concludes on Wednesday, Lithuania recovered from losing 4-0 to Belgium, beating Estonia 1-0. Estonia must defeat Belgium in the last game to overtake Lithuania; the current leaders need only avoid a defeat by eight goals. The final tournament draw on 14 April placed Italy, Russia, Switzerland and Belgium in Group A, with Germany, Norway, Spain and the Netherlands contesting Group B.